Someone thanked me for providing “vision & energy,” but I work late and miss sleep… my joints might describe it differently. I doubt I could explain what I do, and I seldom try. Some of my friends are trained in marketing and we joke about my non-marketing non-strategies like survival of the tiredest and my best will just have to do. I only talk about a fraction of what I’m working on. The main reason is I’m too busy trying to do it to talk about it. Yes, I realize that breaks every rule of professional communication – and common sense. The second reason is theft. I cannot begin to describe what has been stolen and how much money others have made from my (volunteer) work. Hopefully, minding my own business makes it a little more difficult for them. By the way, there are frequent offers for me to sell out by putting certain text and links on this blog. See the Disclaimer page for the simple way things work on RAW. 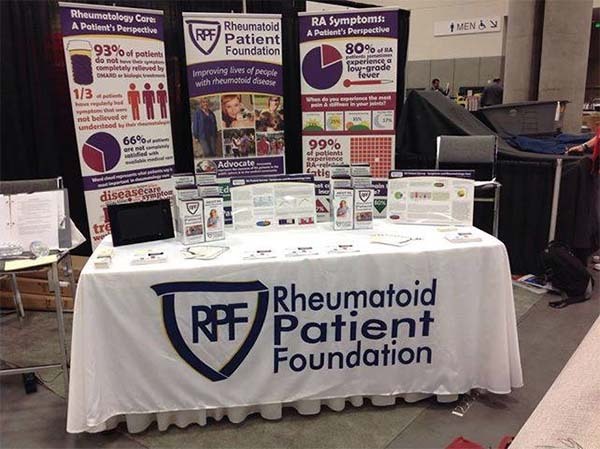 And the work of RPF (Rheumatoid Patient Foundation) has gained traction so quickly because people with Rheumatoid Disease (PRD) have a need to be represented, the same way others are, so we can address the one to twelve ratio of per-patient funding of research (compared to similar diseases). As usual, I barely came home with any photos from ACR except those we took in the cab the first day and in the plane on the way back. I’ve always been terrible at blogging and traveling or tweeting and traveling… I barely travel and travel. Fortunately others took lots of pictures – and tweeted! 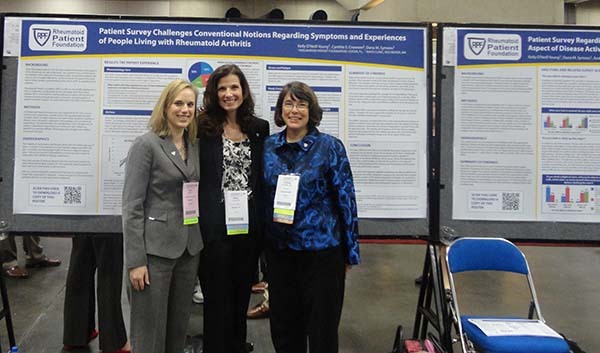 What do the abstracts and the session have to do with you? 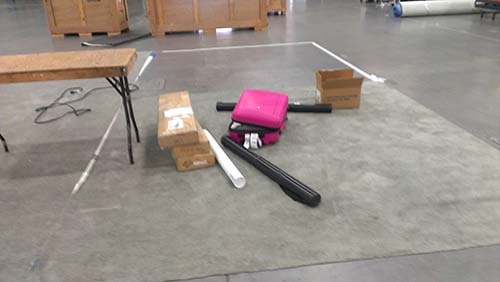 It might be hard to imagine what flying to San Diego presenting posters and slides has to do with the pain and problems of PRD around the world. Struggling to get dressed, walk the dog, or get the right meds, San Diego seems pretty far away. ~ It’s true the American College of Rheumatology is a professional organization. 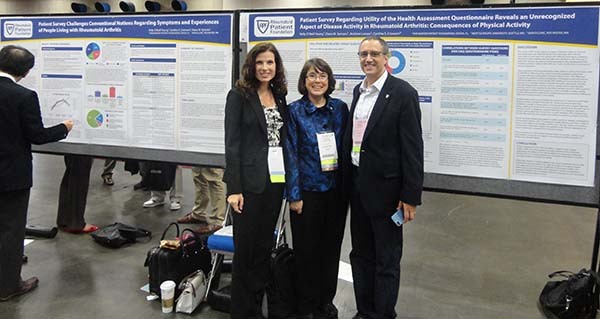 Last December, I proposed a session with three speakers from RPF: Dr. Jeffrey Curtis (a young hotshot award-winning rheumatologist), Dr. Elizabeth Riggs (a fabulous veteran PRD with an amazing resume), and myself (ordinary patient telling other patients’ stories). After some negotiating, I learned we were allotted one hour to divide between us. We were thrilled, but I kept all that to myself as usual… Hopefully, I’ll have some video to share soon, but I assure you all three of us advocated for better engagement and care for you. 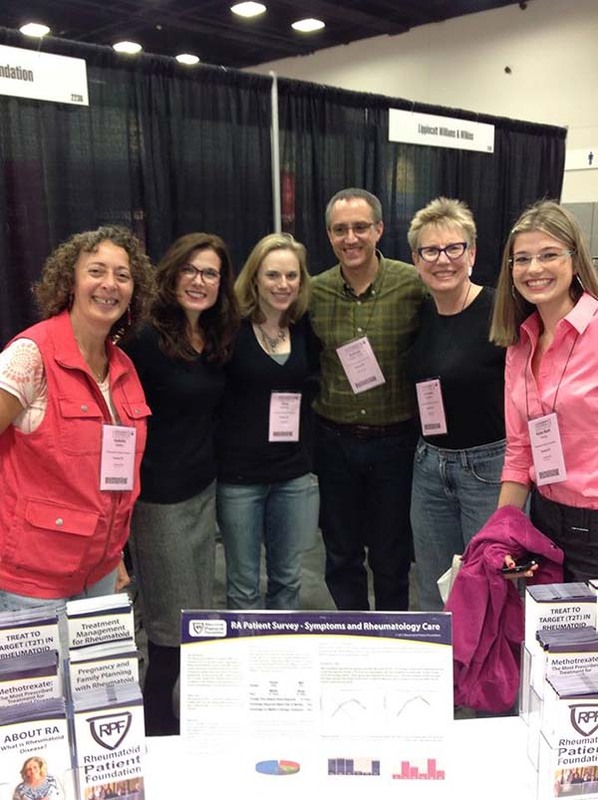 Last spring, I emailed a small group of talented, enthusiastic volunteers that became an RPF research-working group. Our work began with what I had learned from years of listening to you, but each person on our team provided expertise in presenting the significance of YOUR responses to questionnaires. (I wouldn’t have done it without them, and couldn’t have done it without you!) 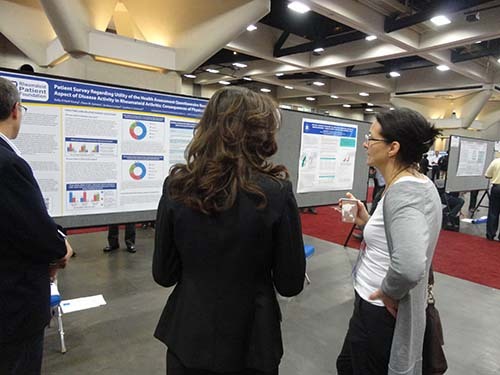 When you click here to see the two posters we presented, and read the authors’ names, know that each one volunteered his or her time to make it happen. And, again, I couldn’t talk about it… in this case it was actually embargoed material. RPF research is still at its beginning, but don’t lose sight of what just happened. YOUR VOICE WAS HEARD – like the Who’s in Whoville. 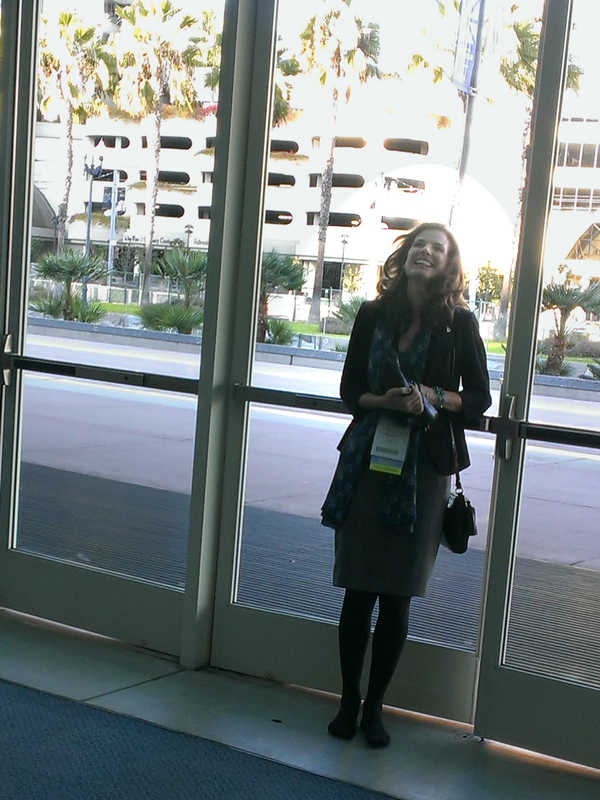 Significant and overlooked aspects of RD were presented at the world’s largest venue for rheumatology research. We should all celebrate. POSTBLOG: Yes, I was in pain, but why am I so happy in this photo? Why do Katie Beth and I stay at the ACR venue until everything is taken down and everyone else has left? Why am I the last to leave? I don’t want to miss a single second or a single opportunity. It’s obvious the work is not done. So much more is needed for patients. There’ll be more pictures and lots of info soon. Thank you for fighting for all of us who suffer with RD. I am so happy that we have you on our side. Kelly, you do more when incapacitated than most of us can do while fully mobile and comfortable! We trust you and support you in making any decisions you need to make at any of these conventions, for any of your blogs etc! Wish we could combine all our strengths and give additional strength to you so that you wouldn’t have to suffer so much in trying to be there for all of us! That applause you hear in the distance is from all of us saying thanks–again and again and again! Amazing. Those of us with RD finally have an advocate and foundation that not only understands the full impact of the disease, but also listens to our stories and concerns and uses that information to make a difference. You have given this disease a more correct name and given it the attention it deserves. And, you have gained the respect from those that need to hear this story. I truly thank you for your dedication to this work. I love, love, love that you call Dr. Jeffrey Curtis a “young hot shot…” Because he IS!! He is my current Rheum and the first (of all four that I’ve seen) to treat my symptoms rather than dismissing me for not having textbook labs that correlate with a specific condition! I have bragged about him many times on comments left on your blog. For me to refer to him a genius is a tremendous understatement! UAB is the best kept secret out there for Rheumatology docs! The thought of having you, Dr. Curtis and Dr. Riggs sounds like the true Dream Team of Rheum patient representation. My sincerest gratitude to all of you!! Thank you, thank you, Kelly for all of your hard work. Thank-you so much for all that you do for us. A simple thank-you seems so very little for all you do. You have given thousands of us hope and a voice. Thank you, Kelly, not just for providing us with a voice but for raising a banner for us to rally behind. For making that voice clear and rational. And for making enough noise for long enough for that voice to be heard, over all the din of received truths in the medical industry. This is awesome. Thank you for all you do. Wish I had been able to be a part of this and helped you! Thank you so much Kelly. We all appreciate your hard work. Was anything discussed for those of us who have had RD so long that the doctors just say…”Sorry, if you were treated today we could prevent this damage?” Can anything be done for badly deformed hands that barely function, and are so discouraging to have to look at every day and know they are yours? Thank you again. Yes! Can u c it on my face? Way to go, Kelly! Can’t thank you enough for all you do! So good to start giving those suffering this disease a voice! And make inroads to get some spotlight on it! More to come I’m sure!!!! You truly are a Warrior and I’m just so grateful! 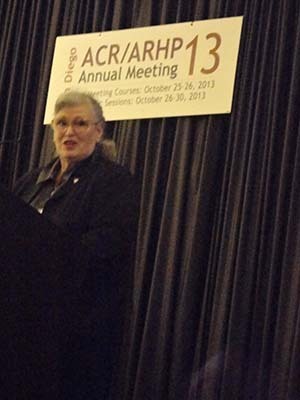 Kelly, I can’t begin to tell you what an honor and privilege it was to work with you and your team for the ACR. 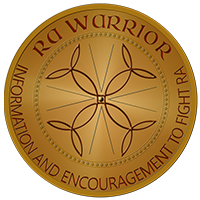 You are just as dynamic and knowledgeable in person as you are on the pages of rawarrior.com and The Spear. 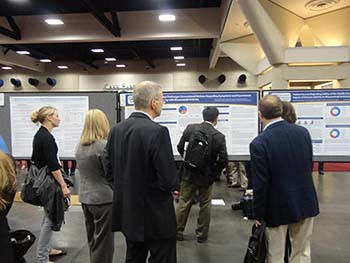 The abstracts were astounding and represented the quality of collaboration among the documented authors. We, who read rawarrior.com regularly, know we are an important part of the success both of the blog and of the RPF. BUT, none of this would have happened, or continue to happen without you and your drive. You are the cornerstone, the spark, the guiding force, that has made all this happen. Please don’t wear yourself down because you are needed, not only now but well into the future. Call on those of us who comment here, tweet you, and email you for any help you need. Let us take on little pieces of the burden and help you keep going for years ahead! I hope your family and friends understand the importance of the things you are doing for the entire worldwide community of us PRDs. 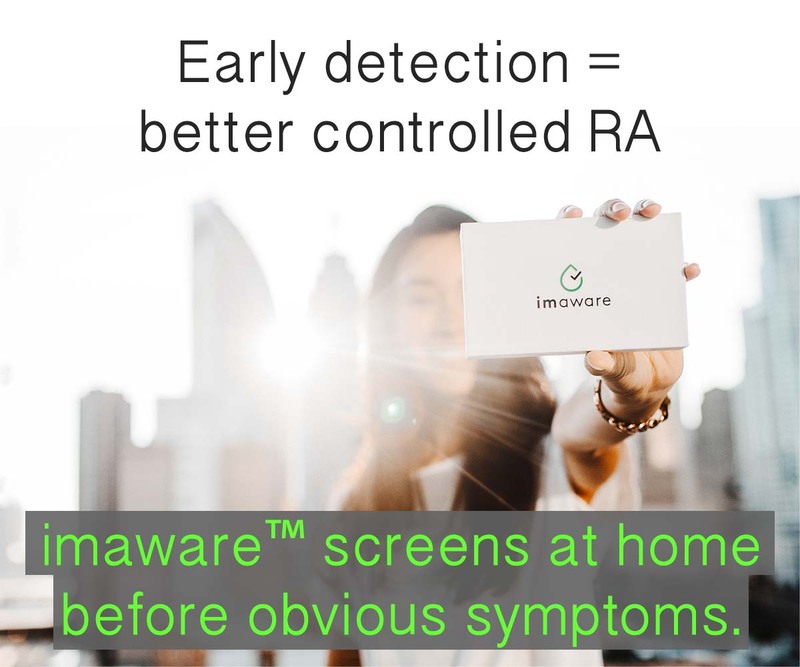 You have given us hope, and given us the strength to carry the voice of rawarrior out into the public and into our Rheum docs’ offices. In the near future, we WILL see “Rheumatoid Disease” replace “Rheumatoid Arthritis” as the official nomenclature for this vile disease. (There! I said it, again!) And it is your work that will have made it happen. 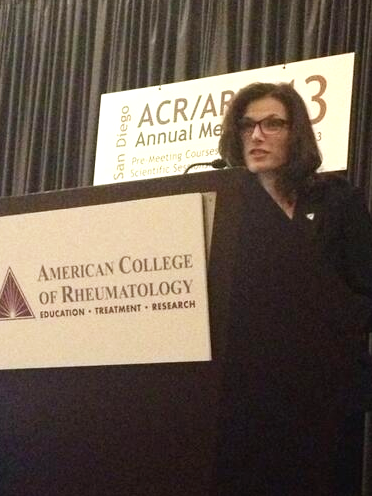 Thank you for letting me be a part of the entire effort at ACR13. Thank you Kelly, for all of your hard work fighting for all of us stricken with this disease. Thank you Kelly for your williness to get out there and be the voice for so many of us who aren’t able. You are awesome! 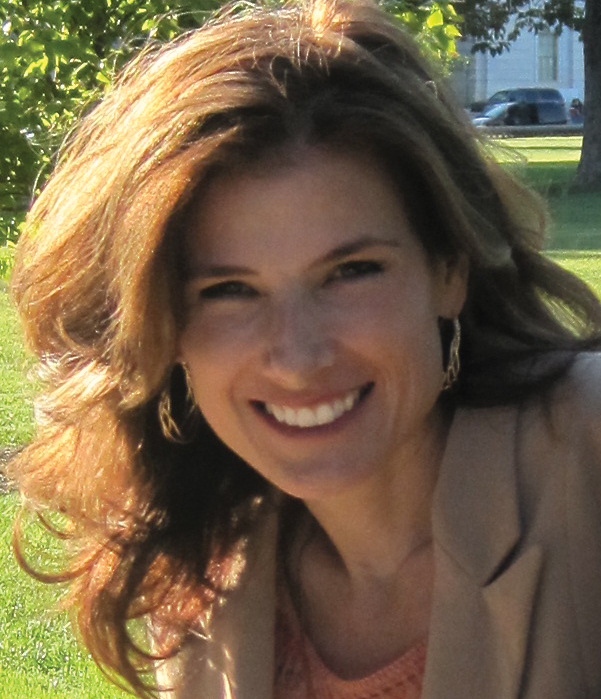 Thank you so much Kelly (and all those who helped) for making our voices heard! Living with RD is much harder than most people (and doctors) realize. I am back to being miserable again myself, and am doing all I can to relieve the pain and keep working. Living in Michigan does not help, as the weather seldom cooperates w/RD patients! Thanks again Kelly for keeping our disease relevant.